Talanoa = conversation/s. These are conversations that build and strengthen relationships between Pasifika learners and teachers, teachers and parents, and schools and Pasifika communities. 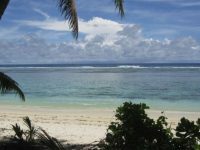 Everyday talanoa (conversation) is part of life; it is a way of communicating to our peers, colleagues, and workmates. The talanoa is one form of communication that can easily be used when communicating with our Pasifika learners, their parents, families, and communities? In this blog post I have shared with you ways of engaging with your schools, and questions you may ask as you work through using the talanoa process. What do Pasifika success, Pasifika aspirations, Pasifika presence, Pasifika engagement, and Pasifika achievement look like in your school or field of work? These ideas are outlined below to support you in your work. Pasifika Success — Ensuring Pasifika students and young people are present, engaged and achieving is a shared responsibility. The diagram above explains how we as educators can support Pasifika learners, their parents, families, and communities. The use of ‘talanoa’ can unravel what each of these segments mean. What values do our Pasifika learners have or bring from home? 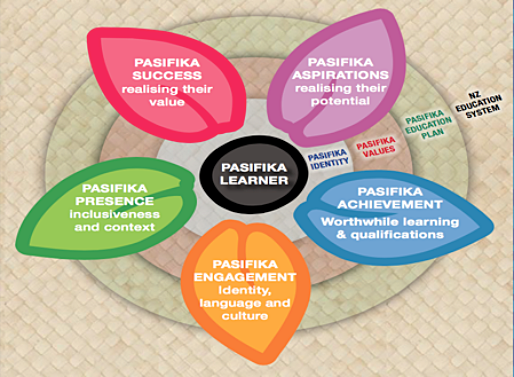 If we go back to the Pasifika success compass from the Pasifika Education plan (2013-2017), the 10 Pasifika values are clearly displayed in the compass. Do your ECE centres and schools display some of the Pasifika values listed in the Pasifika Education plan 2013-2017? During scoping sessions with schools, this could be one of the questions used to give you, as a facilitator, an idea of their understanding of Pasifika values. How are the Pasifika values displayed around the school? For example: Pasifika greetings in the school office and classrooms, children’s Pasifika artwork etc. This gives us an indication that schools acknowledge the cultural values of their learners. Getting to know your Pasifika learners is a start. Who are your Pasifika learners and how do they like to learn? Asking these sorts of questions will give teachers a way of connecting better with Pasifika learners. The introduction of Learners maps last year with the Future Focused Inquiries Porirua East cluster teachers had given them a better understanding of how their Pasifika learners like to learn. Learner maps had provided teachers with some knowledge around student aspirations as learners. 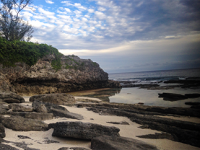 How do we know that the learning is engaging for our Pasifika learners? The ‘talanoa’ process helps with making the connections with Pasifika learners. The talanoa process helps with engaging with the Pasifika learner and what best works for them. The talanoa process connects the learner in the teacher, it is not only about achievement and results but it encompasses the holistic view of the Pasifika learner. Do our Pasifika parents know how well their children are doing? Having a Parents’ Learning conference will help support their children’s learning, this could help the building of relationships between the school and home. Pasifika Language weeks for 2016 will help build the culture of schools. Having the basic greetings exposed around the school and in the classrooms will embrace the identity, language and culture of all Pasifika learners. Pasifika culture groups in schools is another way to share the identities, languages and cultures of Pasifika learners. In Pasifika cultures we use the quote, “it takes a village to raise a child”, in everything we do. How can we ensure that everyone is included in the learning? 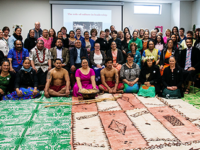 The talanoa model used in my previous blog ‘Creating the talanoa is all it takes’ creates the connectivity between the teachers and the aiga (family), schools and the community. 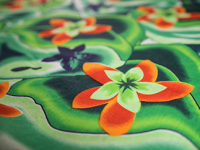 This blog supports facilitators, teachers, principals, schools and communities to strengthen their relationships with Pasifika learners in their schools. What can you take away with you from this blog post that will support you in your work? I really appreciate the information and ‘Talanoa Tips’ provided here. I have volunteered to present at a ‘ a pop up session’ /talanoa session during our PD to outline ways in which teachers can support Pasifika learning/learners at Sacred Heart College, Lowe Hutt,. I do have a question though: Where can I get a copy of the ‘Learner Map’ that was made available to the Porirua Cluster: see notes under Pasifika Aspirations.